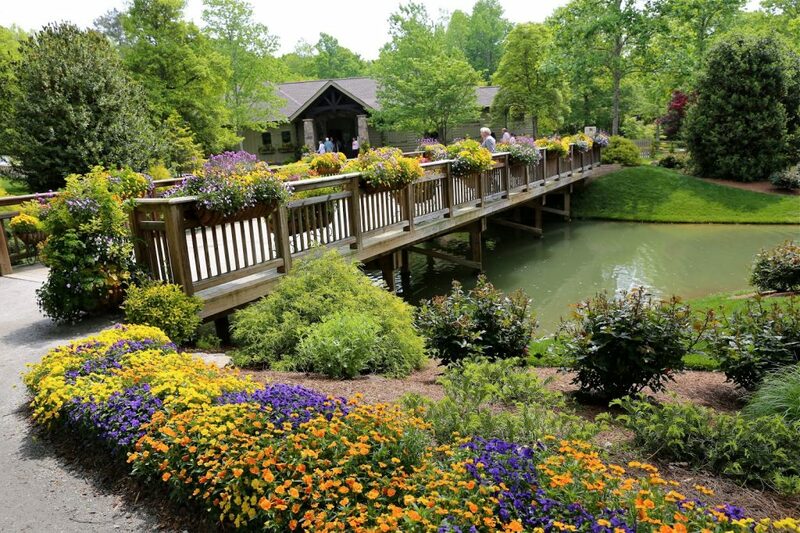 On Saturday May 20, 2017, The Atlanta Jaguar Society is planning a trip to Gibbs Gardens. Aside from viewing the gardens Gibbs is having an arts and craft fair this weekend and there will be music at the gardens from 6.00 p.m. to 9.00 p.m. This is a special event and the price for admissions to the gardens this weekend only is $10.00 per person. We will be having lunch in Ball Ground Georgia at Les Bon Temps a Cajun restaurant. Cajun food, but salads, etc. are offered. An abbreviated menu can be found at restaurant’s Yelp page. The link is provided just above the map and driving directions below. We will meet at the restaurant at 11:30 a.m. After lunch we can proceed to Gibbs Gardens or walk around Ball Ground which has an antique mall and general store. There will be Music from 6:00 pm to 9:00 p.m. there is a tram for those who wish to ride. There are all sorts of gardens, rose, tiger lily, red maples, children’s sculpture gardens, and a lot more. There are picnic tables and sandwiches, cookies, chips, and soft drinks for purchase. The link to Gibbs Gardens’ website is provided just above the map and driving directions below. Please RSVP to Marlene Hart by May 12, 2017 as we need to make reservations for the restaurant. Next Next post: Guess what time it is?